Some experts say North Korea is trying to convey displeasure over the breakdown of a high-stakes nuclear summit last week between leader Kim Jong Un and President Donald Trump over what the Americans said were Kim’s excessive demands for sanctions relief. North Korea’s state media on Friday acknowledged for the first time that the summit ended without an agreement. But the Rodong Sinmun, which primarily targets the domestic audience, held back from criticizing the United States and instead berated “detestable” Japan for supposedly celebrating the “unexpected” setback and supporting sanctions against the North. 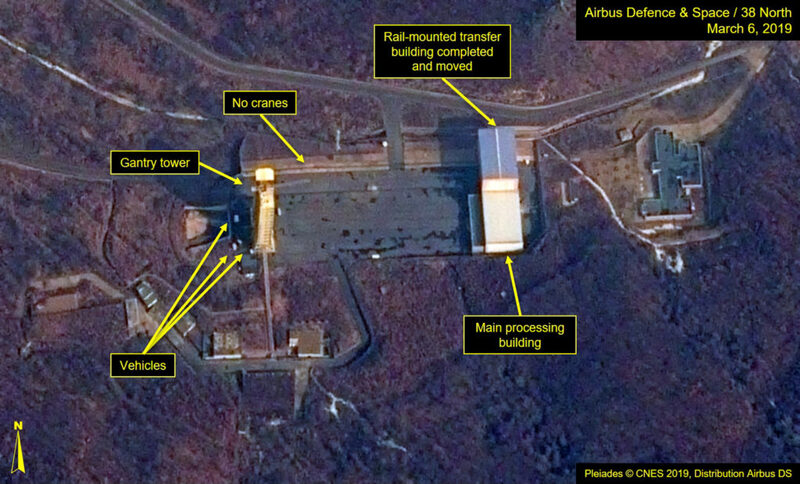 North Korea-focused website 38 North said Thursday that commercial satellite images from March 6 indicate that the launch site appears to have returned to “normal operational status” following rapid construction to rebuild a launch pad and a rocket engine test stand. The Washington-based Center for Strategic and International Studies published similar findings and said the North’s actions amount to a “snapback” from the moderate dismantlement it undertook following the first Trump-Kim summit last June. Trump said he’s a “little disappointed” by the reports of the new North Korean activity and that time will tell if U.S. diplomacy with the reclusive country will be successful. South Korea’s spy agency has also told lawmakers in a closed-door intelligence briefing that increased vehicle movement was detected at a missile research center on the outskirts of Pyongyang where the North is believed to build long-range missiles targeting the U.S. mainland. South Korea’s Defense Ministry said Thursday that it is carefully monitoring North Korean nuclear and missile facilities and that the U.S. and South Korean militaries were closely coordinating intelligence over the developments at Tongchang-ri and the missile research center. 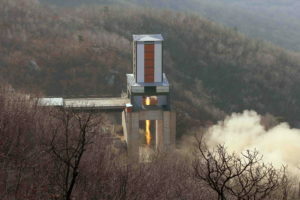 Moon Seong Mook, an analyst for the Seoul-based Korea Research Institute for National Strategy, said it’s unlikely that North Korea will resume major missile tests or satellite launches anytime soon because that would risk destroying its fragile negotiations with Washington and could bring even harsher sanctions on its crippled economy. South Korean President Moon Jae-in, who has said it was Seoul’s “outmost priority” to prevent nuclear negotiations between Washington and Pyongyang from derailing, nominated a dovish scholar as his new point-man on North Korea on Friday in an apparent effort to push further his engagement policy with the North. South Korean calls for partial sanctions relief to encourage nuclear disarmament steps by North Korea has caused disagreements with Washington, which does not want to give up what it sees as its main leverage with the North. A senior State Department official told reporters on Thursday that Washington isn’t considering sanctions exemptions for inter-Korean economic projects.